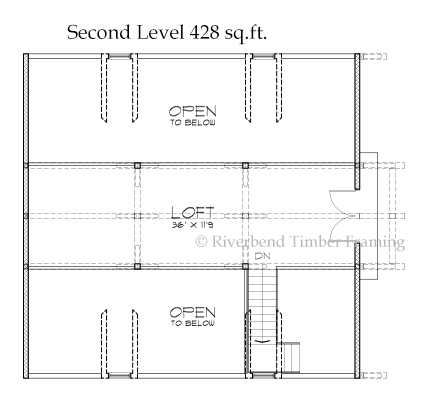 When you’ve made the investment in your land, it’s natural to want to make sure that any structure you build complements your space. 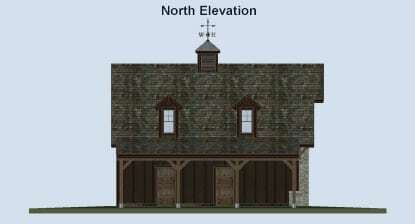 Expertly crafted timber framing is the perfect way to add historic character to your modern-day horse barn. 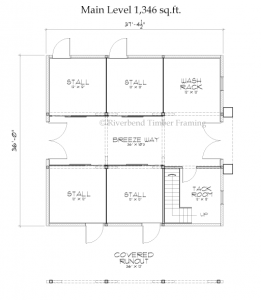 With its warm wooden frame and sturdy construction, horse stables from Riverbend are the ideal way to add to your property. 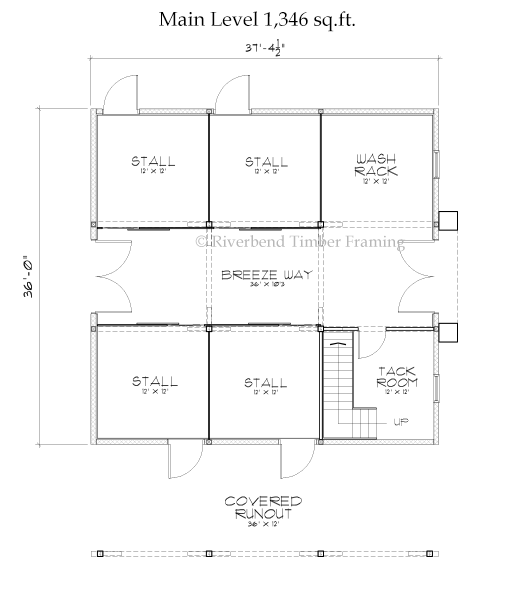 Our horse barn design was designed with maximum efficiency and building integrity in mind. 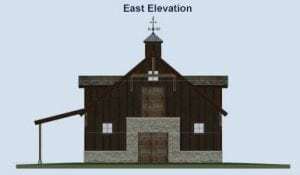 This horse barn floor plan was drawn using SIPs (structural insulated panels) for the walls and roof. 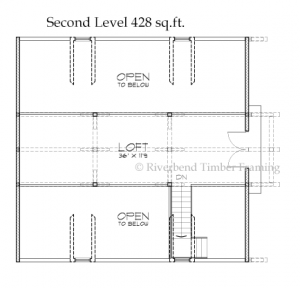 Thanks to SIP construction, the entire process can be put together incredibly quickly. The SIPs also help keep interior temperatures more consistent and pleasant during any season. This ensures a comfortable environment for animals, vehicles, and more.